Well, it’s practically almost Spring (I swear I saw some blooming Cherry Blossoms), so what better way than to get ready for it by getting your closet organized and functional! * Set aside a day with no appointments to get to etc. The last thing you need is distraction and the worst thing is having to leave your purge mid-way and picking up from where you left of, especially if your room is looking like a physcadellic mountain of fabric. Wear something comfy and easy to change in and out of so you can try bits on, in case you need that extra motivation that those jeans from 10 years ago don’t fit! * Create a pile for each of the following: Bin, Charity, Sell, Mend. * Go through your closet and drawers from one end to the other, top to bottom, and remove everything that you know doesn’t fit, you haven’t worn in over 2 years, looks like it needs to retire, needs tweaking or mending. If you’re thinking about it for more than 10 minutes, move on and come back to it later. As you take bits out, add them to one of your piles above. * If you have the space, create a ‘second home’ closet. Once you’ve swept through your wardrobe, taken out pieces and added them to piles, return to the items that you were not sure about. You’re probably feeling more ruthless than when you started but if you still aren’t feeling like you can emotionally let go, add these items to the ‘second home’ closet. That way, you can revisit these items and if you’ve failed to incorporate them into your working wardrobe after four to six months, then they should be the first to go at your next clear out. * Now you have your piles, and hopefully more space in your wardrobe! Bag each pile up and get rid of the ‘bin’ bag straight away – it will feel amazing! * Determine which organization you would like to donate your charity bag to. If it’s womens office/formal wear and in good condition, I can highly recommend the Dress for Success charity that helps low and no income women to transition into the workforce by providing professional attire. * Set aside your bag of clothes that needs mending if the job is too technical or if you don’t have the time and find a good and reliable tailor. * For the ‘Sell’ bag, if the items are in great condition and you think you could get some money back for them, take a few snaps of each item and pop them onto ebay/craigslist (but save this for another day). Or, a way more fun and social approach, would be to invite a few of your fashionable friends over and either do a clothes swap or a sale where you donate some of the proceeds towards a charity. I like the latter option as you come away with feeling good, have some pennies in your pocket, it’s a great way to introduce some new pieces into your wardrobe at a low cost and it’s a damn good excuse to catch up over a bottle or three with your girls! * Next, take out ALL of your contents until there is absolutely nothing left in your wardrobe. Give it a little wipe down while you have the chance. * Choose the right hangers – yes, this does make a difference ;o) The arms of a hanger can stretch out the shoulder areas on knit fabrics and delicate blouses. To avoid these “shoulder bumps”, invest in a few hangers with padded arms. A wire hanger may collapse under the weight of an oversize winter jacket. Keep a few sturdy wooden hangersfor your coats to help them keep their form, but as they can get pricey, invest in the thin flat velvet hangers for the rest of your clothes, which saves money, space and stops clothes from slipping off. * If you have a second cupboard or hallway cupboard, move your coats there as this will free up more space in your bedroom cupboard. * Store your out of season clothes in storage bags under your bed, higher up in your closet or in that ‘second home’ closet. * Organize your clothing into categories, e.g., work suits, work skirts, work blouses, denims & casual pants, blazers, casual tops, going out tops etc. * Think about your lifestyle, as this will determine how to best organise your closet. For example, if you’re an office gal, you’re going to be drawing from your office attire more than your casual and evening clothes, so you want your office attire to be more easily accessible. Keeping your less worn items further back in the closet. * If you don’t have enough drawers to separate items, like socks/hosiery, jewelry, clutch bags etc., purchase some organising boxes. 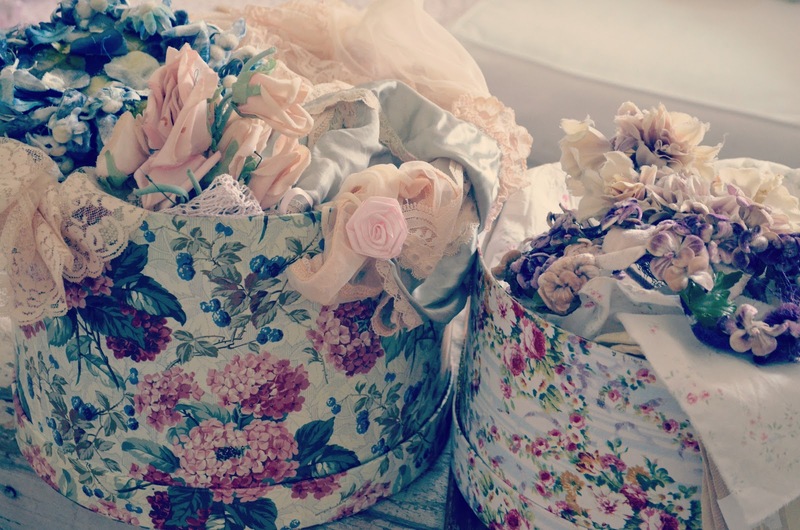 We have all soome beautiful things and tend to keep them boxed away and out of sight. 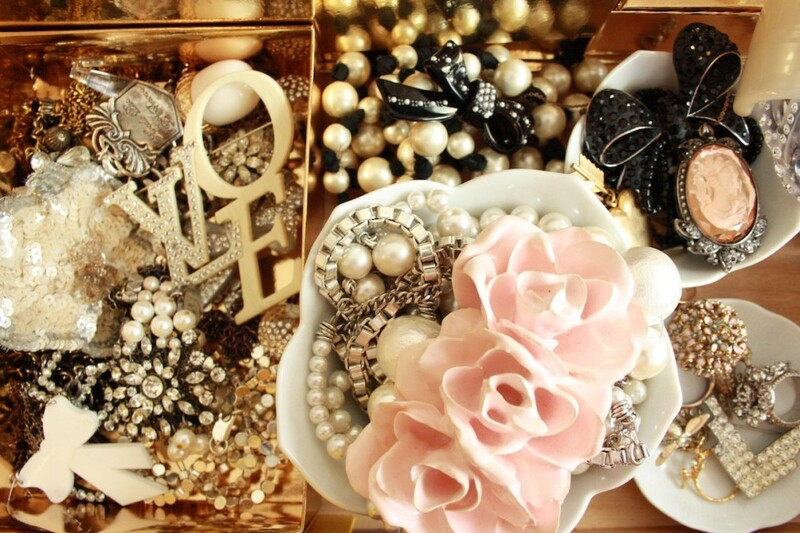 Whey not put them on show and surround yourself with all your treasures. * Display your jewelry. A three tiered vintage cake stand acts as a fab home for rings and bracelets. Hang your earings on a wiry decorative bird cage and put up door knobs in different styles to hang your lovely necklaces, hats or scarves. * Got pretty shoes? Line them up or put up some ornate deido rails to hang them off. Now that you have done all the hard work, you need get into a routine of keeping your wardrobe functional. * Put things back into their right home. * When you purchase a new item, spend a little time when you get home to figure out what you can pair it up with, take a couple pics if you think you may forget. * Start taking photos of your outfits (either stick them to the inside or your closet or make a folder). This will help if you have a really busy schedule and don’t have time (or the motivation) to think about what to wear. * Rotate your clothes within each section so the ones at the bottom of the pile or a little deeper in your wardrobe don’t get forgotten. * A great way to track what you have worn, is to start off with all hanger hooks facing away from you. 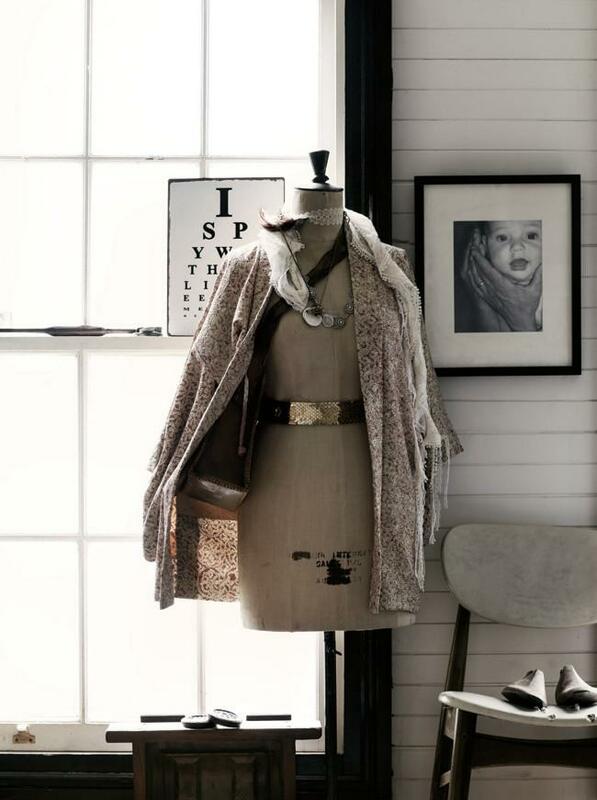 When you have worn an outfit, put it back into the wardrobe with the hanger hook facing you. 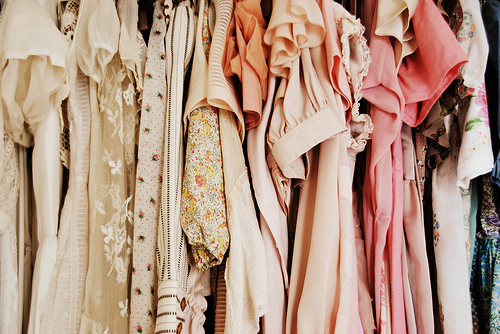 * Spend time with your closet more. OK, I admit, that does sound a little wierd and I don’t mean like every week, but maybe once a month, spend a couple hours having a look at your wardrobe to assess your setup. Try come up with new outfit combinations or figure out what key piece is missing that will enable you to create a number of new looks with what you already have. * Aim to do a clear out every six months to keep your wardrobe clutter free and fully functional.